Dr Arora is an excellent Physician who is invested in teaching medical students, residents and fellows. He is an amazing asset to our faculty as he is a compassionate physician, talented clinician and supportive colleague. 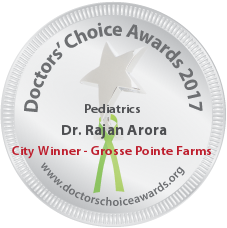 Dr. Rajan Arora is a diligent, hard working and competent physician who relates effectively with patients and colleagues. He has a outstanding fund of clinical skills and knowledge and is an exceptional physician. Having worked with Dr. Arora for the past few years, I can say without hesitation that he places the care of the patient above all else. 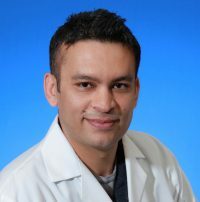 He is humble in his practice, open to suggestions on how to improve patient care and asking others’ opinions; at the same time, in doing so he encourages others to likewise perform at their highest level of ability. I appreciate his efforts to coordinate care with the hospitalist teams that he admits to. He is committed to furthering education of others and he is well-equipped to do so with his talents and expertise. His excellent publication of the review of management of fever without source in children is one of the articles I most frequently go back to in my own education and teaching. He is a down-to-earth individual, relatable, a team player, and with great character overall. Very good bedside manners. excellent clinical skills and very hard working. always willing to help and is a team player. Would recommend him to my friends and family happily, with confidence as I know he will serve them well. Dr. Arora for me is great mentor, who believes in treating trainees under him as equals..Kindness, patience and dedication seem to be his mantra to get through most situations. He is not only extremely talented but equally humble. He is a very dedicated, encouraging and motivating individual who will leave no stone unturned to achieve the very best results in patient care, education, research and training future generations of physician specialists. An outstanding physician with excellent bedside manner, communication and clinical skills and emphasis on evidence-based medicine. Nice working wilth Dr. Rajan He is confident, organized and knowledgeable. Dr. Arora is a fantastic clinical educator. He’s an impressive clinician who always seems at ease in a stressful work environment. I would trust him to care for my loved ones. Excellent pediatric emergency physician, educator and colleague. Always professional, calm and approachable. Excellent physician well liked by his colleagues and patients. Extensive clinical knowledge with great bedside manner. 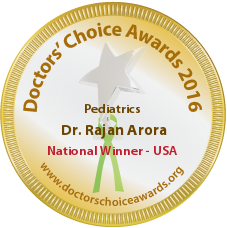 Dr.Arora is excellent and very caring physician.He is well liked by his colleagues and patients.it is great pleasure to work with him. Wonderful physician and an excellent teacher. He is very pleasant and easy to work with. Takes good care of his patients. Dr.Arora is a smart and calm physician. Very capable of taking care of sick patients. He interacts very well with both patients and staff. Excellent clinical and teaching skills. As his mentor during his pediatric emergency medicine fellowship, he made the diagnosis of Taykayshu Arteritis in toddler with sudden onset of stroke. As Associate Quality Assurance Director for our Division, he is doing an amazing job. Will trust him taking care of my family member in emergency room. Dr Rajan Arora is extremely poised. Has a high degree of professionalism along with a mature personality, high ethical standards and integrity. 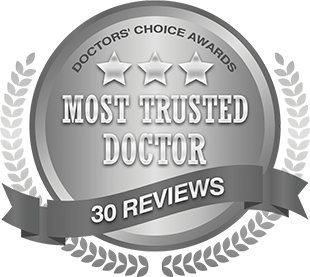 Dr Arora is a highly competent, dynamic, very knowledgeable and widely published physician. I would have no hesitation in recommending him to any family for outstanding care. He is very well respected in the field and deservedly so. Excellent clinician and educator. Develops great rapport with families, colleagues and staff. A valuable asset to our division. He is just fabulous! Everyone likes working with him because he is smart, had good bedside manners, willing to help others, good with residents, and a true patient advocate. I would not hesitate to have him see any of my family members! Dr. Arora is an excellent clinician and colleague. 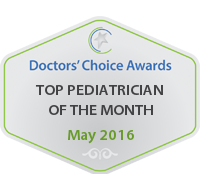 He goes above and beyond to care for his pediatric patients and their families. Excellent clinical acumen and clinical skills. Hard working and caring physician. Enthusiastic and excellent teacher. Dr. Arora is a caring, intelligent Physician. His patients love him and his colleagues respect him. Dr. Arora is an outstanding physician, educator and co-worker. He goes above and beyond for his patients and colleagues. Very self aware, always prepared-someone you go to if you have a question about a case. Rajan is a great educator, and a better clinician. Dr. Arora is not only an excellent clinical provider but is extremely gifted at working with children and their families. He can explain complex issues in a way both easy to understand and comprehensive at the same time. I am very fortunate to have Dr. Arora as my collegue. He has both the intellect and the personality that makes him an exceptional physician. I have a lot of respect for him. He is an excellent Physician with good clinical acumen. He shares a great rapport with his colleagues and support staff. Fantastic physician role model. Very reliable and dependable. Goes the extra mile for his patients. Competent and popular ED physician. always prepared.